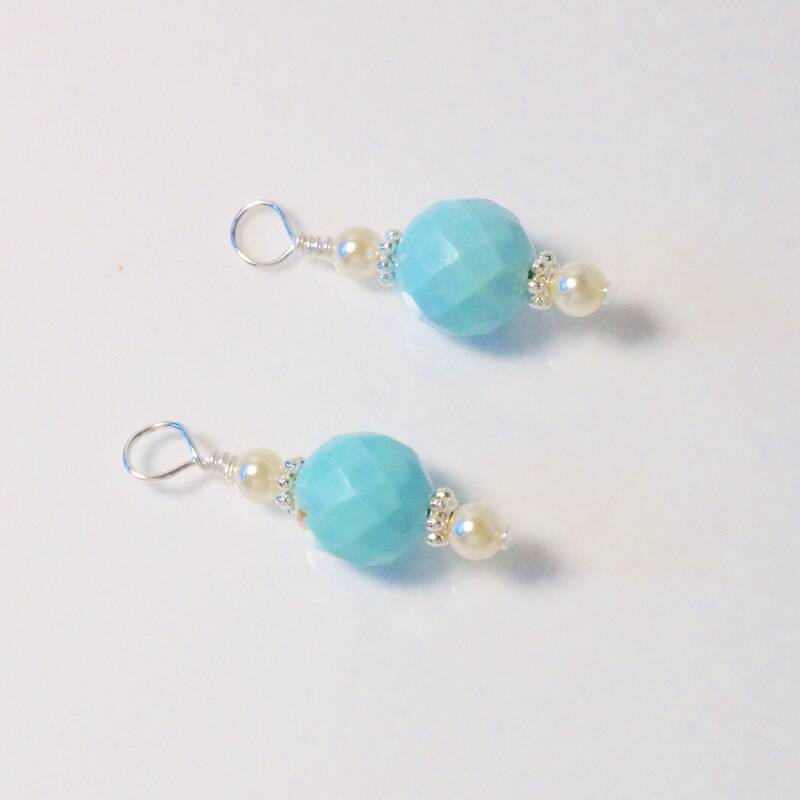 Here you have a handmade, one of a kind, pair of earring charms. 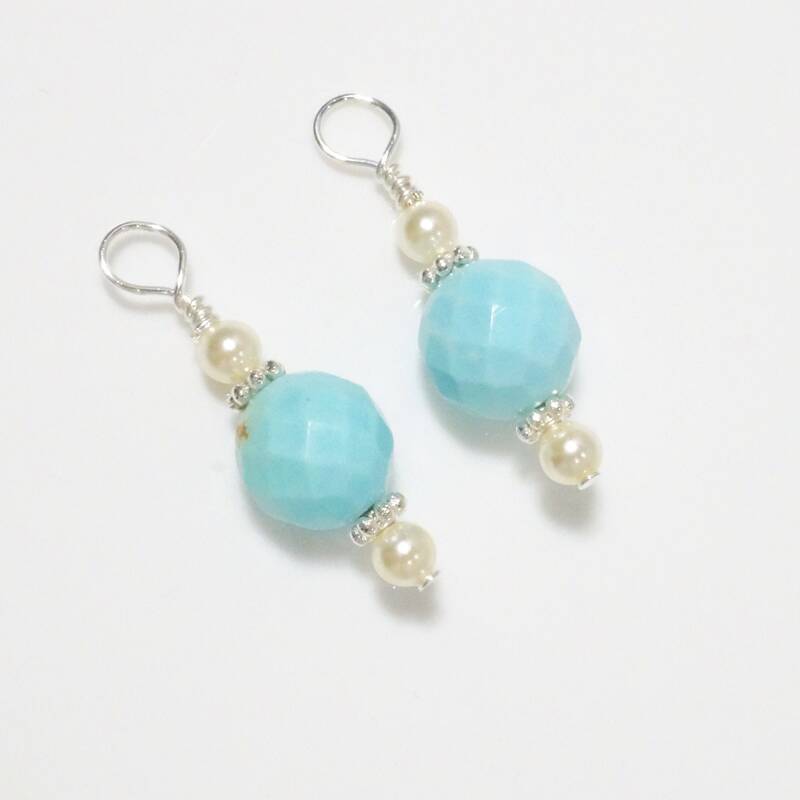 They're made with sterling components, faceted turquoise, and Swarovski pearls. They have a large loop. They measure 1.25 inches. THIS IS FOR THE PAIR. Please know that these earring charms are one of a kind pieces. I do not repeat the exact same designs. You will be the only one to own it! Nobody else. That is what makes my jewelry so exclusive.